General Contractor serving the Roaring Fork Valley of Colorado since 1982. With DM Neuman Construction, you know you will always "Build with Confidence". Home Builder, Remodel Contractor and Project Manager. High Mark Construction is proud to provide over 25 years of experience in residential construction, from Aspen and the Roaring Fork Valley, to the Front Range of Denver Colorado. Our business philosophy is based upon integrity, strong communication, a thorough understanding of your project, and experience-driven execution. We are the project managers of your renovation or new construction as well as the contractor. We are able to attend to construction for any part of your home, from the interior kitchen and bathrooms to your exterior decks and outdoor kitchens. We thrive on quality communication with our clients to ensure that we are delivering the best possible quality service. As a licensed general contractor, our goal is to provide you with a finely-crafted custom home of superior construction. With every home we build, we strive to exceed your vision and expectations with our attention to detail and superior craftsmanship. We listen to your needs and desires, from the design phase, until we hand you the keys to your new home. 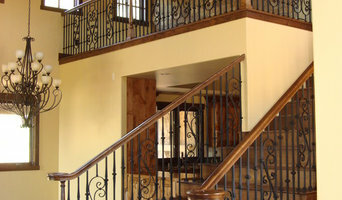 Our goal is to ensure you an enjoyable and satisfied home building experience from start to finish. High Mark Construction will continue to serve you long after your house is complete. We stand behind every house we build. We offer warranty coverage and post-construction management, as well as any future add-on design and development. We are proud to say that the majority of our work comes from client recommendations. For the last 25 years Roaring Fork Custom Billiards has been building handcrafted custom billiard tables. In those years we have built over 220 custom tables that have been delivered (most by us) to 43 states and 4 countries. Before I started building the billiard tables and furniture I was building luxury log homes here in Colorado. At Roaring Fork Custom Billiards we are committed to designing the perfect billiards table to fit seamlessly in to your home decor. In our profile and website you will see we have built many other pieces of custom furniture. 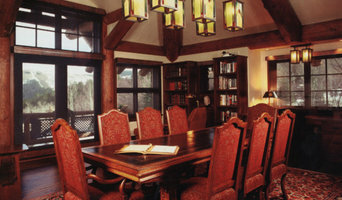 Most of the furniture we have built originated from a clients love of working with us. They will ask "can you build this for us also". Most of the time we can however, if we can not, we are not afraid to refer you to someone who is more specialized in the style you are looking for. Because, in the end we want a happy customer. PermaScapes is one of the top landscape contractors in the Roaring Fork Valley. We have achieved our position by working tirelessly to exceed our clients' expectations, and we are proud of our proven track record. But what sets PermaScapes apart from the rest is our passion for edible gardening and sustainable land-use practices. We promote a regenerative business model by encouraging our clients to rethink possibilities for their outdoor spaces. Along with all of the vanilla landscape services, we offer expertise in a wide range of avante-garde landscape alternatives including food production, permacultural design, xeriscaping, rainwater catchments, zero-waste landscaping, high-efficiency drip irrigation and more. We also offer a full spectrum of service divisions from design and planning work to construction and maintenance/upkeep. For the DIY types, we are also happy to provide professional consultation services. If you want to ensure that your landscape is done right, work with the best. Work with PermaScapes! Structural Associates Company is a premier custom builder with offices located in the beautiful Rocky Mountains of Colorado. We have been constructing extraordinary living spaces, ranches and commercial environments for our discerning clients since our founding in 1982. 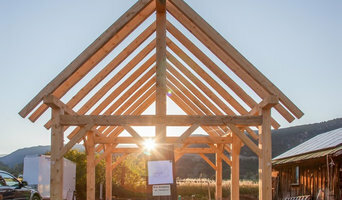 As a member of the U.S. Green Building Council, SA is a leader in the application of green building techniques, including sustainable building and alternative energy technologies. SA adheres to construction practices that benefit the environment and provides healthier living spaces for our clients. In each custom home we work to identify green building strategies that meet the design goals of the project as well as provide value to our clients. Our office facility includes a PV system that was designed to maximize our usable roof area, as well as provide a minimum of 75% of our energy demands. But before you start sending out dozens of emails and making phone calls, sit down and think about your project. What's your budget? What is the scope of your project? Will you need more than one type of professional to complete your home improvement project in Glenwood Springs, CO? Can you afford to complete the full project now, or should you tackle it bit by bit? 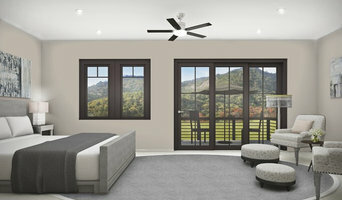 Once you've settled on your project’s priorities, budget and scope, it's time to start researching Glenwood Springs, CO home design professionals. Don't sell yourself short and settle on the first professional you set your sights on. Make sure that you're working with someone local, who can get to the jobsite easily and efficiently. Look into the person’s reviews, ask to speak with former clients and to see previous jobs in person. Take a good look at their portfolio photos: How similar are these projects to your own? Be honest — that mansion might look beautiful, but it might not have a lot in common with your little bungalow. Reach out to multiple professionals — especially for larger projects — and don't settle for the first bid you hear. Comparing multiple Glenwood Springs, CO professionals' bids and experiences can help you find the one that’s best for you. Ask a lot of questions now, so you won't have unexpected answers later. Find a home design professional on Houzz. Narrow down your search by type of professional and location. Browse Glenwood Springs, CO portfolio photos, read client reviews and contact each Glenwood Springs, CO professional for more information. Check out the information in the specialized professional sections too for tips on how to hire the right professional for your project.